Good morning! 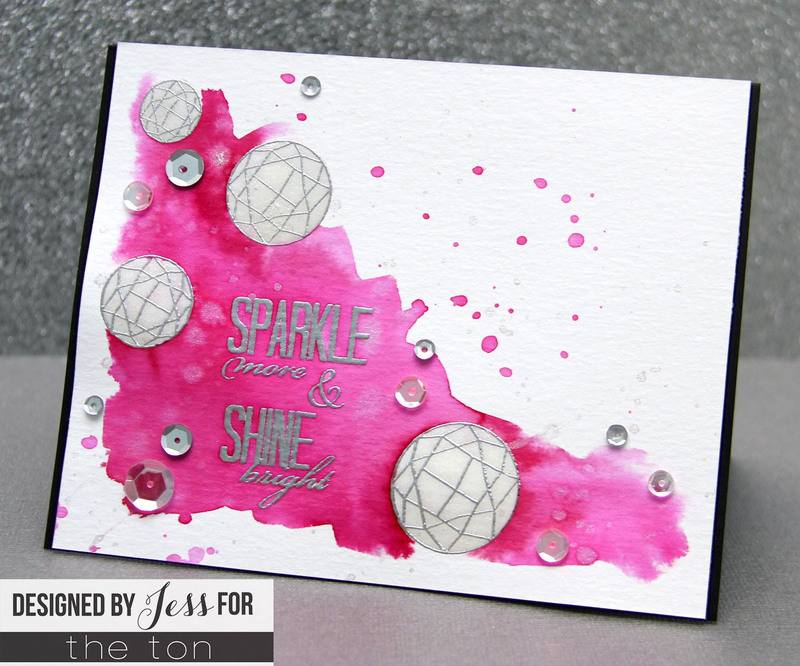 Jessica here to share a card using masking with glossy accents and the fabulous Round Diamonds stamp set! 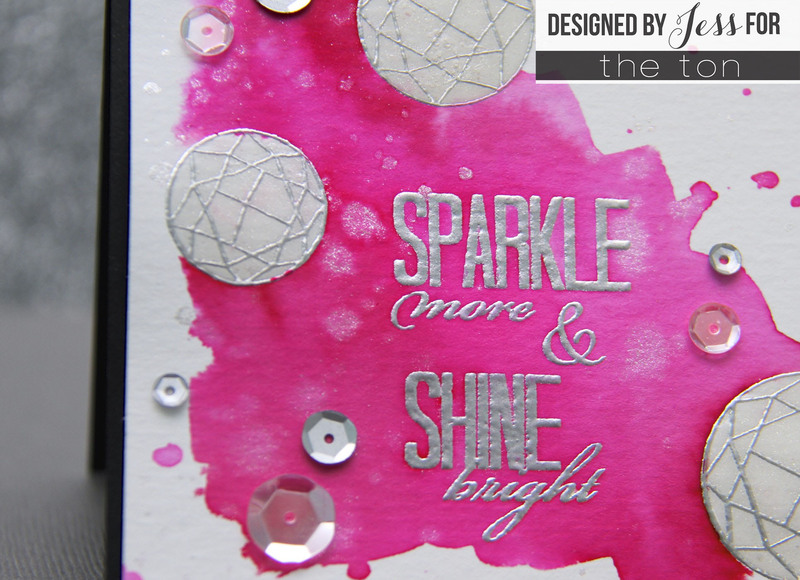 I started off by stamping the diamonds and the sentiment with versamark ink onto watercolor paper and then I heat-embossed them with Ranger superfine Silver embossing powder. I went over each diamond with my wink of stella clear glitter brush until they really sparkled. Then I covered each diamond completely with glossy accents. Because I used so much glossy accents I let the card dry overnight so there’d be no chance that it’d still be wet! The next morning I wet the paper and then watercolored it with my Gansai Tambi watercolors. I used a pink shade and a red shade and just dropped the color onto the wet paper in splotches. Because the paper was so wet it really blended nicely with very little effort on my part! 😉 I also splattered a little of the pink paint and then let it dry. Next I took a little Iridescent Medium from Windsor and Newton and splattered that on to the card front for a little extra sparkle. To finish the card I added a sprinkle of Glass Slippers and Silver Metallic sequins! This card is similar to one I did a few months ago but it definitely packs a more colorful punch! 😉 I like both versions quite a bit although the silver and hot pink may push this card a little ahead of the peach and gold version! 😉 Which one do you prefer? Thanks so much for visiting and make sure to check back tomorrow for a special new series!! Great card! Love the hot pink! LOVE the hot pink! Awesome! This is awesome. I love this shade of pink!